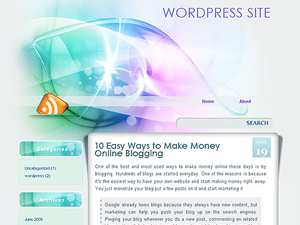 Wordpress has been the best and most widely used blogging software for many years now. 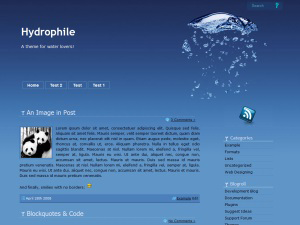 It is written in php language and uses MySql database. 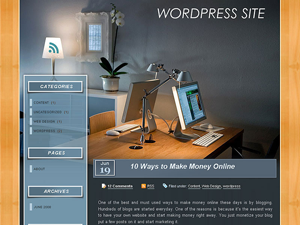 Wordpress is also very flexible with the numerous plugins available on the web for free, which add various functionality to your system. 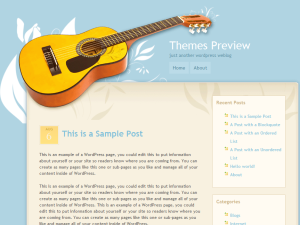 You can download the latest Wordpress here. 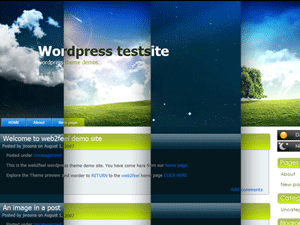 It is also "skinable" which allows users to easily change the look and feel of their wordpress powered website. 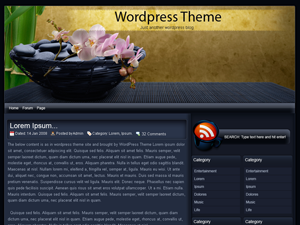 Skins are called Wordpress Themes or Templates. 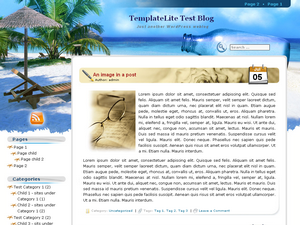 Free Wordpress templates are file packages which control the appearance and presentation of the wordpress website. 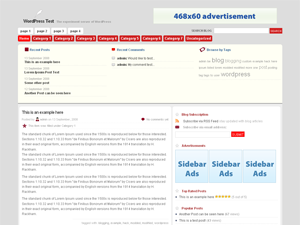 To change the look of your entire wordpress powered website, you simply download one of these packages listed below, then unzip and upload the entire unzipped folder to your blog's /wp-content/themes/ folder. 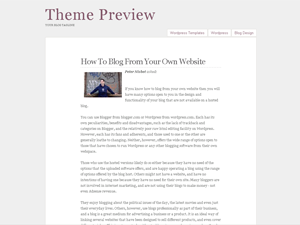 Then you log into your blog's admin area, navigate to "Design" tab, where you have a list of available themes to chose from. 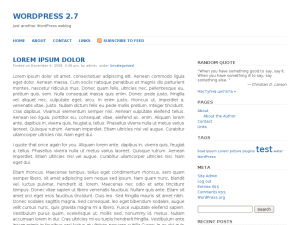 You click on the desired wordpress template and get a preview of how the site would look like if the template was used. 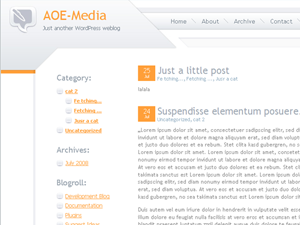 In the upper right corner of the preview, there is a link "Activate template name". 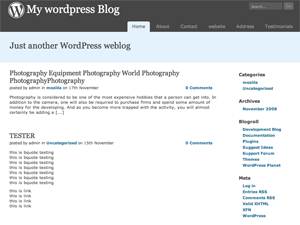 As soon as you click on that link, the your wordpress blog gets the new look. 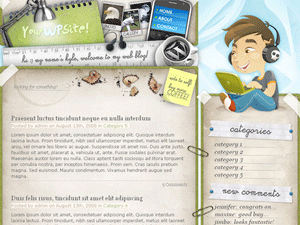 You are welcome to use any of these free Wordpress templates listed on this site. 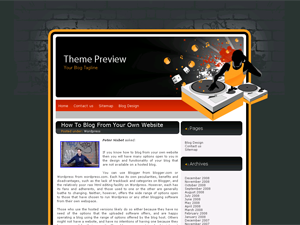 The WP themes listed here were all hand selected as being the best of the best. 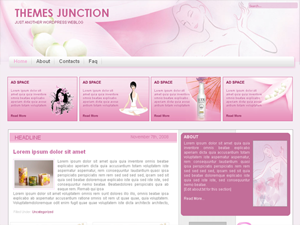 They fully conform to WordPress themes structure standard, XHTML standard and XFN standard. 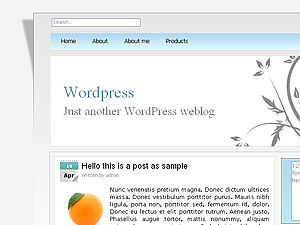 You are free to modify them and add or remove components to suit your needs but please be fair and do not remove the author's credits as they spent their valuable time designing these beautiful Wordpress skins for you. 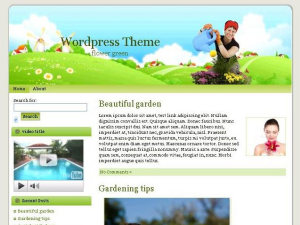 If you are a web designer and would like to share your custom wordpress theme by having it listed at this site, we would love to take a look. 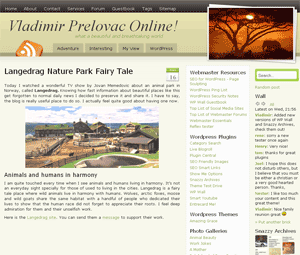 Just submit it here and if we like it, we will add it within 24 hours. 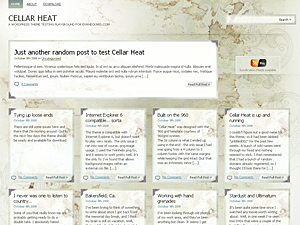 Please note that all themes have to include a 300 x 225 pixels screenshot of the wp theme in action (as screenshot.png file). 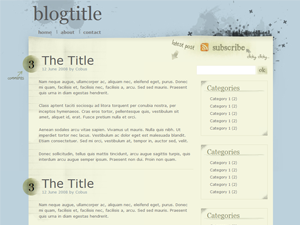 Also the template should conform to Wordpress standards and have a proper theme description in the styles.css file.